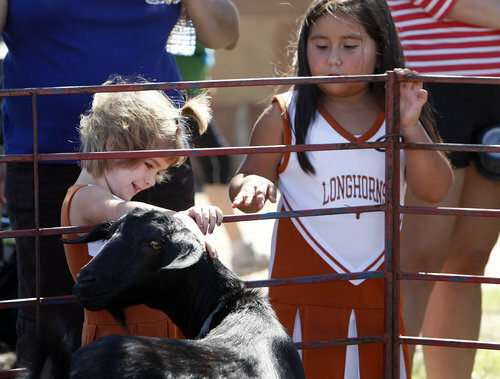 Deborah Cannon/American-Statesman Adian Cordell, 3, and Alejandra Sanchez, 5, reach out for a goat at the petting zoo at the opening of the Mueller Farmers’ Market held at the Browning Hangar on Sunday, Sept. 9, 2012. 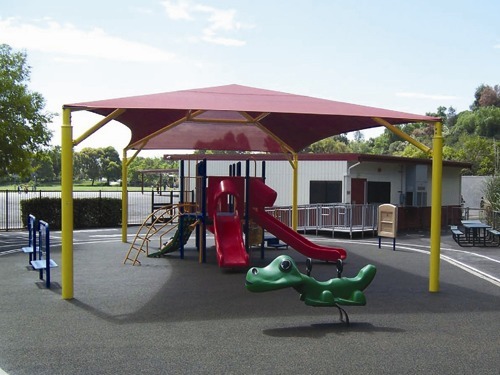 The new farmers market will be held on Sundays from 10am to 2pm. 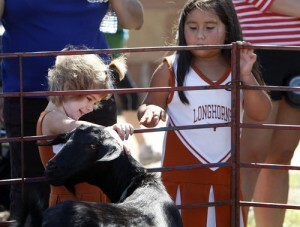 The opening day featured face painting, a petting zoo, live music, food samples and other events.